It’s almost Panto time in Menston (Aladdin, 19-21 February) but there are already plenty of smiles to greet you at some new or changed businesses in Menston. 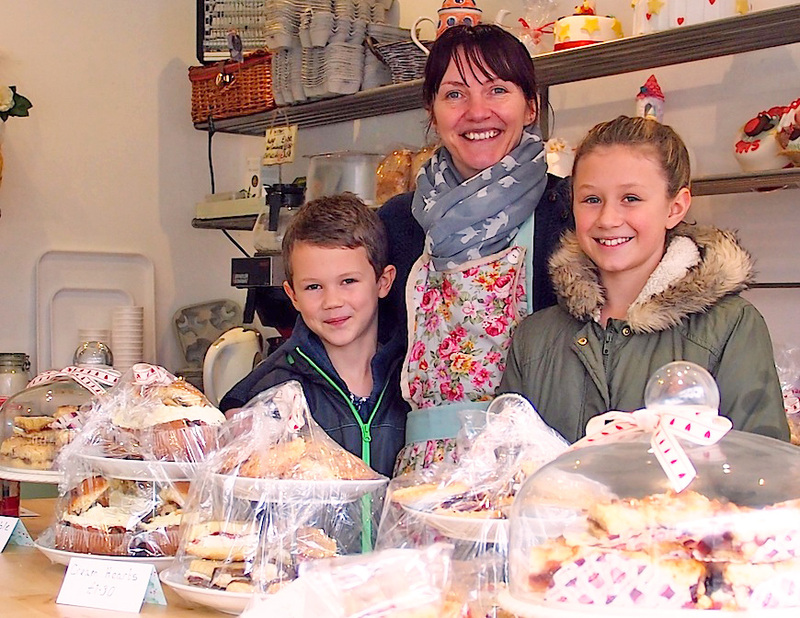 Trish, with her cheerful, efficient assistants Kate and William when they are not at school, has taken over the Village Bakery. A newcomer to shopkeeping, Trish doesn’t intend to change very much in the short term: she’ll be selling the same locally-baked bread, the sandwich menu is the same, though she may introduce one or two new ones, and the only problem with the cakes is which ones to choose. Living in Cookridge, Trish has to cross the Chevin every morning to open up but the snow this weekend didn’t dampen the cheerful greeting. The school run made easy, for parents of children of primary school age and younger, has come to Menston with the arrival of ‘The Railway Children’ at Menston Station, in what was formerly the coffee shop and 1875 Indian restaurant. What a transformation! A delightful reception with Scandinavian all-weather suits hanging ready to ensure an outing, rain or shine, and photo-named trays for belongings, entered by way of the booking hall with a parent’s fingerprint – no strangers get in here. Upstairs is a bright, colourful play, ‘work’, sleep area packed with toys and activities, designed with gated areas so that siblings can be together or separate as they wish. Primary school children dropped off earlier are taken to school via the safe route along the ‘ginnel’, then brought back after school to join the early years and pre-schoolers. Then they have a sit-down, locally-prepared meal learning not only independence but, eg, how to count (sausages!). Places are limited: 14 pre-school, 14 primary school, maximum. For more information call Zandra on 0795 416 6653. Another completely new activity for Menston is ‘SOU training’, which is taking place at the Body Sanctuary (42 Cleaseby Road) on Tuesdays. More about this activity, brought to us by Antonio Ferreira from Portugal, can be found at http://soutraining.wordpress.com/ where you’ll find all you need to know, including prices. The word ‘sou’ is from ‘I am’ in Portugese, when used to address concepts that are permanent and intrinsic to a person’s nature, as in “I am a human being” – “Eu sou um ser humano”. Other regular activities and events at the Body Sanctuary are meditation, therapies, healing, group meetings and workshops and Shakti Dance once a month, a relaxed event for women to connect together and let go of emotional tension. Call Kalyani on 0795 203 6326 for more details. 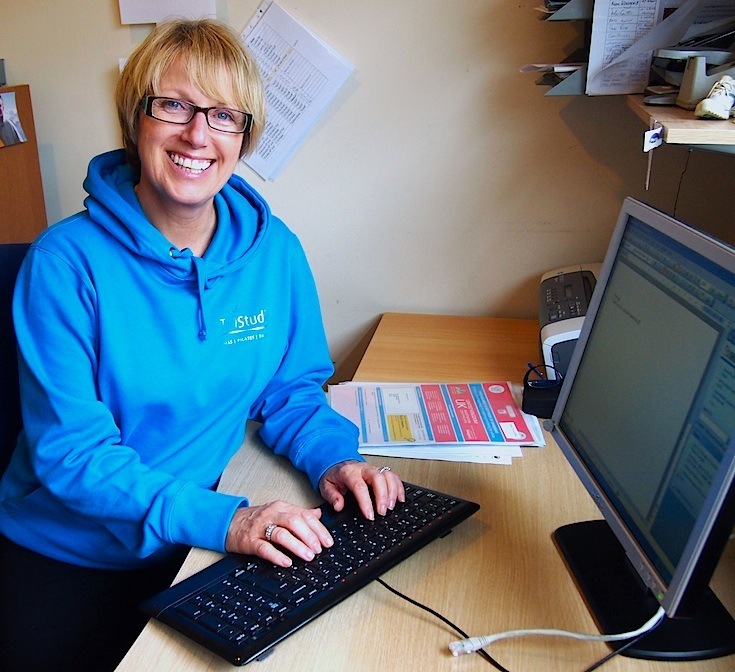 Another Menston business with good news is Extraordinary Writing (http://extraordinarywriting.net), set up in December last year to offer news and feature writing, and production of complete newsletters, to businesses and other organisations. Writer Roger Livesey says “I wasn’t really looking for work until the next financial year, having recently retired from ’employment’, but if anything interesting turns up in the meantime I may take it; this job from a company in Luxembourg was to write two magazine features, about on-board WiFi on long distance coaches in Europe. To be researched and written by 10 January, it was sufficiently interesting so I took it on”. 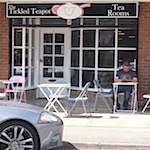 Sadly, the Tickled Teapot cafe in Croft Park, set up last year after the greengrocer closed, shut its doors on Christmas Eve. Hosts Audra and Gareth at Delicasolo, their delicatessen/pavement cafe on Main St, Menston, which will become a ‘bistro’, open late, for the weekend of the Grand Depart. Menston’s popular delicatessen and pavement cafe will be serving ‘bistro’ food and beers and wines to match on Friday, Saturday and Sunday. 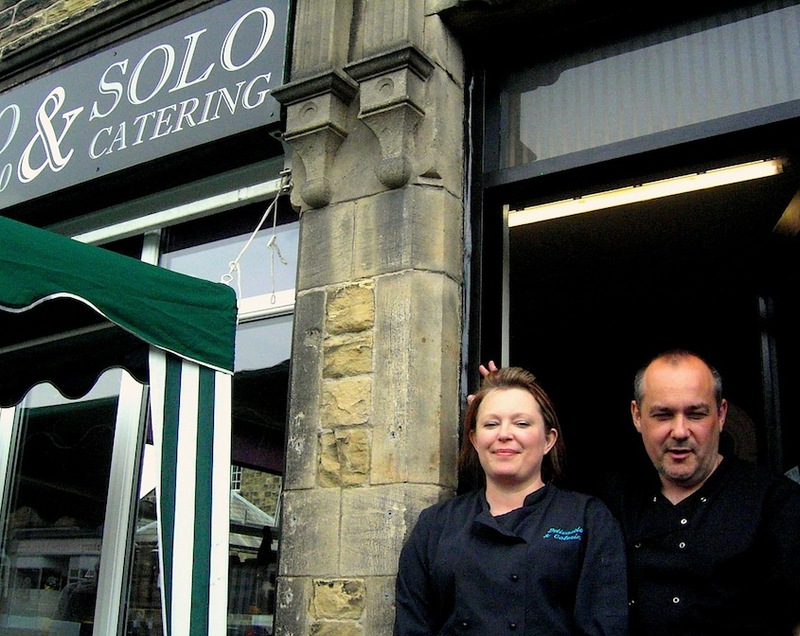 Menston’s popular delicatessen and pavement cafe, Delicasolo, will be serving ‘bistro’ food with beers and wines to match from Friday to Sunday over the Tour de France Grand Depart weekend. With a drinks licence until 9pm, the popular spot will be open until 9.30-10.00pm for those who want to escape a mile or so up the A65 from the Burley-in-Wharfedale bypass Tour route and the biggest crowds. On Saturday morning coffee etc will be served from 6.00am! In addition to the usual snacks, from olives to Mediterranean breads, there will be a variety of ‘bistro’ type plates including Pulled Pork Tacos with Spicy Sauce, a Beef Ragout, Chicken Tandoori with Bombay Potatoes, and a locally-produced Burger. Prosecco and a variety of reds and whites will be available to wash them down, together with a choice of beers and cider including a Pale Ale from the Goose Eye brewery in Keighley, brought in just for the occasion. It will be a busy weekend for hosts Gareth and Audra as the other side of the business, Solo Catering, will be supplying the food to a number of private Le Tour parties in the area. 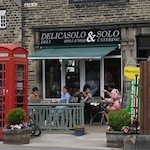 Delicasolo is on Main Street, Menston, just a few hundred yards from the A65. Telephone 01943 879010. 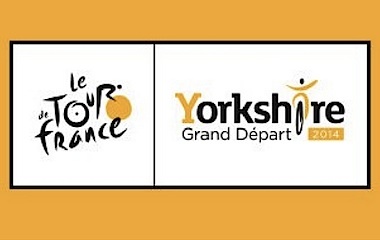 Menston Methodist Church will be presenting the Grand Depart of the Tour de France on the Big Screen, as it happens, from 9.00am till 2.00pm on Saturday 5 July. The Cornerstone will be open for refreshments with its usual fayre from 10.00 until noon, then light refreshments will be on sale in the main hall from noon until 2.00pm. So if you’d like to watch this great event with others but away from the heaving crowds this might be a good solution. 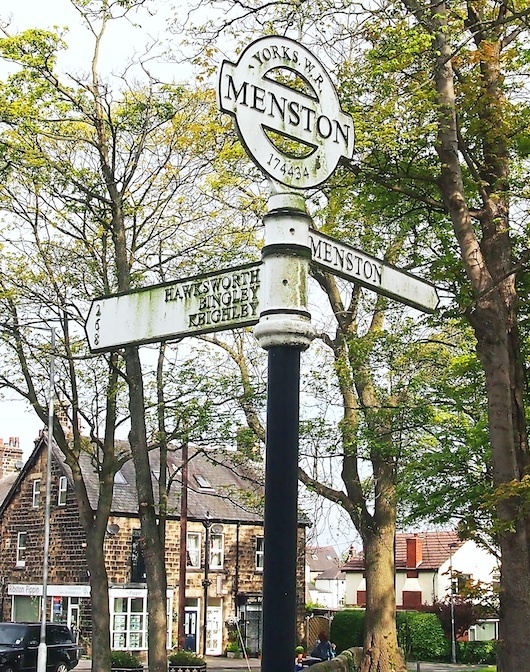 The future of the Menston Community Association, the independent charity of which all Menston residents of voting age are members, will be the subject of discussions at the monthly meeting on Wednesday 2 July, at the Methodist Church Hall, Main Street, at 7.30pm. No formal agenda has been issued. Following the recent resignation of the Chairman, and the announcement of impending resignation by the Acting Secretary and former Chairman, replacements for these key officer roles are needed. At an earlier meeting of the MCA committee the possibility of the Parish Council taking on some of the activities of the Association was discussed. The MCA has, of course, played a key role in opposing the inappropriate housing developments proposed by Bradford Council on Bingley Road and Derry Hill. However, it has also been a key player in important and successful village events like the Jubilee celebrations in 2012 and the Menston Village Vehicle Show earlier this year. All Menston residents are welcome to attend MCA meetings and maximum participation is vital for the future of this independent organisation which represents all Menston residents. There’s a lot going on in Menston next week; three important meetings and another two consultations to follow. At least one Menston ‘mini-community’ has managed to turn the Jubilee street party into an annual event, and St Mary’s Menston is in the news again with an Assistant Head being appointed a trustee of a leading Vatican charity. Finally, full details of this year’s Menston Show have just become available (some classes are different, with more than one nod to the ‘Grand Depart’). Click any of the links below to go directly to the story, or just scroll down to read them all. 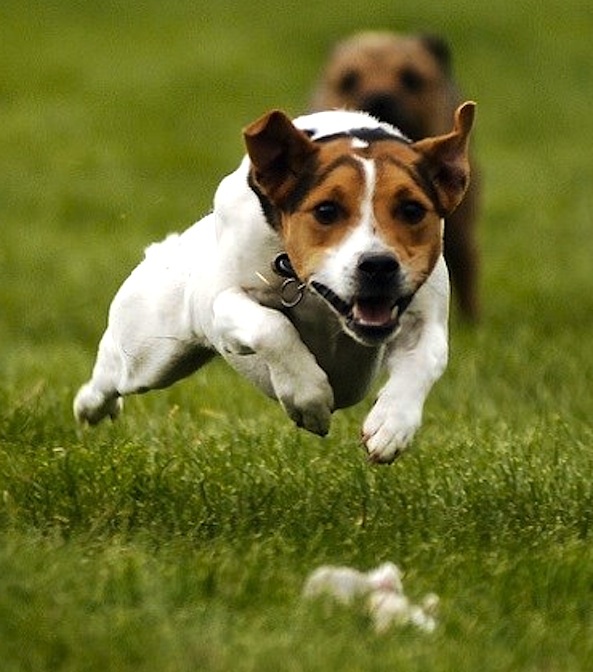 STOP PRESS: House of Commons Adjournment Debate. 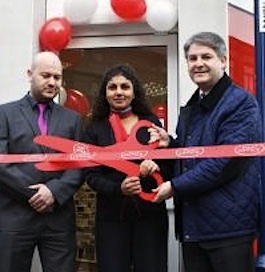 Philip Davies MP. Planning Issues in the Shipley Constituency. 9.30am onwards Thursday 5 June. Philip has 15 minutes to state our case! (added 2 June). The next Menston Neighbourhood Forum, which as usual is combined with the monthly meeting of the Menston Community Association, is at the Kirklands Community Centre on Tuesday 3 June evening (click the following link for an outline AGENDA). Important for many residents is that the Bradford Council Traffic Officer Simon D’Vali is due to be present to discuss traffic issues. Among these is likely to be the situation at the mini-roundabout where Main Street joins the Bingley Road, at which drivers coming down Bingley Road fail to slow down, let alone stop, crossing the junction as though no mini-roundabout exists. The newly-formed Menston Business Association (see below) is campaigning to have the road down from High Royds opened to traffic to better integrate the new complex with the village. The second meeting to discuss possible activities in Menston to commemorate the First World War over the four year period from August this year until November 2018 will be at the High Royds Memorial Chapel on Wednesday 4 June evening. Notes on the first meeting in April, at which there were many suggestions for activities, ranging from trips to the battlefields to research by Menston schoolchildren into relatives involved in the war, have been circulated to those attending the first meeting and can be found HERE. The Agenda for the 4 June meeting can be found HERE. Of course all residents with an interest in the commemoration events are invited to attend the Wednesday evening meeting. The newly-formed Menston Business Association will take the opportunity of the Neighbourhood Forum to introduce itself more widely to Menston residents before its next meeting on Friday 6 June (at The Studio, 9a Cleasby Road) to which anyone running a shop or business based in Menston is invited. Of special interest at the moment is the proposal to move the Post Office from its present location to the Londis shop at the junction of Cleasby Road and Main Street. Siting it at this busy junction is far from ideal from many points of view but the Post Office is saying it will either be there or nowhere. There is a consultation to which residents can contribute until 26 June. Comments can be emailed to comments@postoffice.co.uk. You may also be able to pick up a form at the Menston Post Office. A two day consultation event on the proposed walking and cycle route – the ‘Wharfedale Greenway‘ – connecting Menston with Pool in Wharfedale, Otley and Burley-in-Wharfedale via the former railway line – will be staged in the Menston Methodist Church Hall on both Thursday and Friday, 12 and 13 June, from 10.00am to 8.00pm. The deadline for submitting written comments is 30 June. 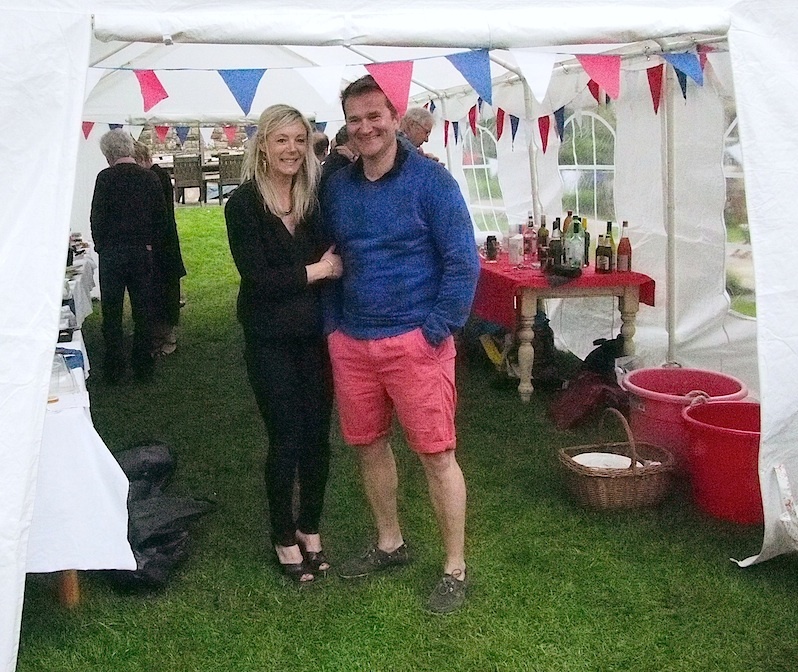 Angela and Glenn Brookes, hosts for the 2014 Cleasby Road street party. 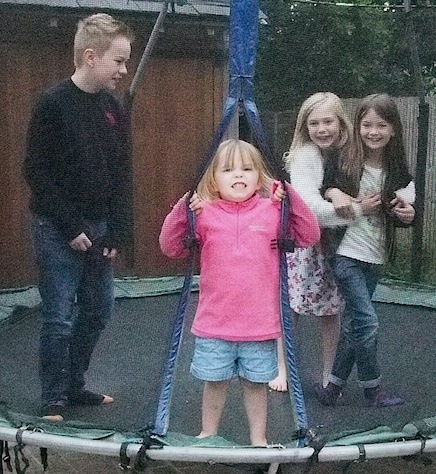 At least one of the many Menston street parties arranged to celebrate the Jubilee two years ago has become an annual event and on Saturday 31 May many residents of Cleasby Road came together again for an open air ‘picnic’. Residents have been taking it in turn to host the event and this year is was taken on by Glenn and Angela Brookes who opened up their rear garden to a large number of guests. The weather was kind enough to be dry so the marquee was probably not necessary although the sun was rather too shy for the end of May. Are there any other Menston locations which have scheduled a street party this year? We’d love to know. The closest we have found is the ‘Big Lunch’ scheduled for today (1 June) by St John’s Parish Church, which has been in the ‘Events’ listing for a while now. Are there any more to come which could be added to the listing and the ‘Imminent events’ calendar? David Geldart, Assistant Headteacher at St. Mary’s Menston, has been appointed a Trustee of the John Paul II Foundation for Sport (JP2F4S). JP2F4S was launched by Pope Benedict XVI during his visit to Britain in 2010 and is inspired by Saint John Paul’s enthusiasm for sport and the unique potential that it offers to enhance physical, intellectual, emotional and spiritual development in individuals and to be a force for good in communities and wider society. Eight years ago David founded the acclaimed Bambisanani Partnership in South Africa which uses the power of sport to develop education, health, leadership and global citizenship. Monsignor Vladimir Felzmann, the Foundation’s Chief Executive said: “We are delighted that David has been appointed to the Foundation. He has a wealth of strategic and operational experience and has gained an international reputation for his work in Physical Education and Sport. 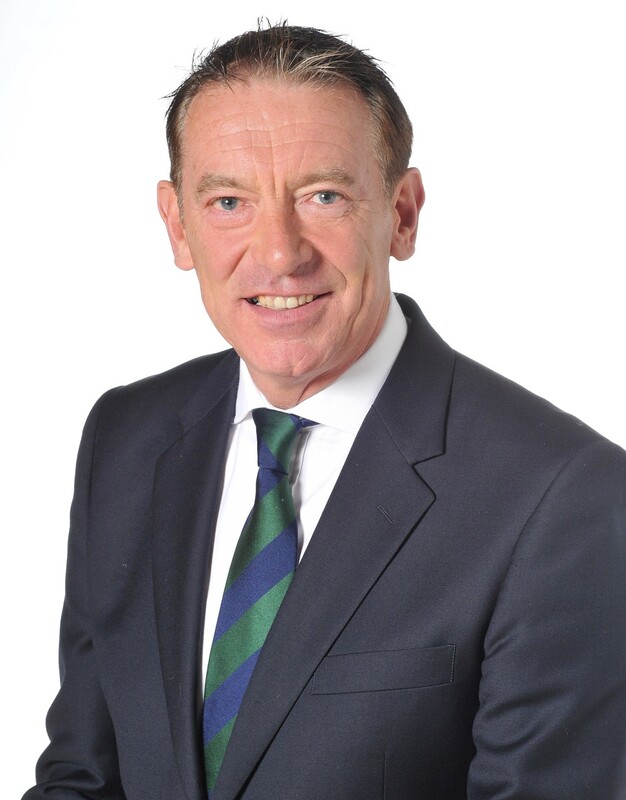 David has held key public appointments at national level with Sport England and the Departments of Education and Health”. Full details of the Menston Show, to be staged as usual at the Kirklands Community Centre, Saturday 6 September, have been released by the organising committee. As last year, details of all the entry classes together with an entry form which can be downloaded and printed can be found on this website by clicking the Menston Show link here, the link at the top of the Events listing or the Show ‘button’ in the right sidebar . The link button in right hand side bar will be a permanent feature on the site until the Show. As last year, we will endeavour to publish all the prize and trophy winners as soon as possible after the show. Last year we managed it by the next day. Menston’s member of Parliament, Philip Davies MP, has offered support for the ‘buy local’ campaign to be launched by the recently constituted group of Menston local businesses (see minutes of the first meeting of the group in a newly created section on this site: click the ‘Menston Shop Local Campaign’ button at the top of the right sidebar). Christine Minchella, who runs The Studio, Menston Pilates and fitness business and who called the first meeting of the group, met the MP on Friday 25 April at his invitation to discuss how he might help. This followed publicity about the group on this site and in the three local papers – the Wharfedale Observer, the Wharfe Valley Times and the Telegraph & Argus. Christine said after the meeting: “Philip Davies was very supportive and told me of the local business survey he had carried out in Menston as part of a wider survey across his constituency. The major problems identified by Menston businesses in this survey were parking and the high level of rates“. Among the offers of help was the possible use of the MP’s volunteers to distribute Menston businesses publicity material when they were distributing his information leaflets etc in Menston. Christine also discussed with the MP the possibility of opening up the direct road from the High Royds development to Bingley Road, Menston, to better integrate the High Royds community with Menston village. At the moment the necessity for them to go via the A65 inevitably diverts them to Guiseley. The next meeting of the group, at which it is hoped a name for the group and next actions will be decided, is at 6.30pm on Wednesday 14 May in the upstairs room of the The Fox pub on Bradford Road. The campaign is not just about shops but about raising awareness and support for all the 70 or so businesses based in Menston (see lists under the ‘Businesses’ menu) so representatives of any Menston business are very welcome to attend and give their views (contact details for more information in the ‘Events’ listing for 14 May). What do you think, as either a Menston business or a resident, of the campaign? Any comments on or suggestions for the local businesses group will be welcome. Use the comment box below. Menston volunteers, including one working with elderly residents and two teenagers who also like to work with the older generations, were recognised as ‘Community Heroes‘ at a ceremony in Saltaire last week. St. Mary’s Menston pupils have collected yet more awards, won a dance competition, smiled through the worst the Lake District weather can offer and nominated ‘Ambassadors’ to take the school’s sports message out to the wider community. Menston local businesses are getting together to explore what can be done to promote local business. And the first bi-annual Menston village Vehicle Show is almost here (see the ‘poster’ in the right hand column). Click on any of the links below to go directly to each story in full, or just scroll down. Click on any picture to see it at full size. 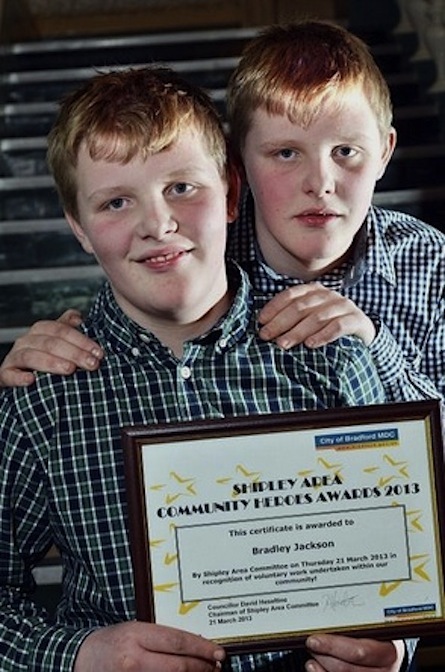 Kieran & Bradley Jackson of Menston – ‘Outstanding Community Heroes’ (T&A Bradford photo). THANK YOU to the increasing number of local organisations sending thanks for the publicity given to their events and activities. Send in events information as early as possible then it will surely appear in the ‘Imminent Events’ column as the date gets near, and don’t forget that to be informed each time there is a new post on this site just click the ‘Follow’ button on the right and enter your email address. ‘Community Heroes’ nominated from all over the Shipley area, from the Wharfedale, Bingley, Bingley Rural, Baildon, Shipley, Windhill and Wrose wards, met at a function at the Victoria Hall in Saltaire last week to learn who had been selected and those who were thought to be ‘top’ in their categories, ie ‘Outstanding Community Heroes’. The call for nominations was mentioned in the New Year post on this site. Outright winners of the under 21 category, so named as ‘Outstanding Community Heroes’, were 13 years old Menston twins Bradley and Kieran Jackson. They were nominated for their voluntary work with a number of Menston organisations, especially those working with older people. Menston Cares is a vital community group in the village and its Befriending and Visiting activities are led by Shirley Thompson. 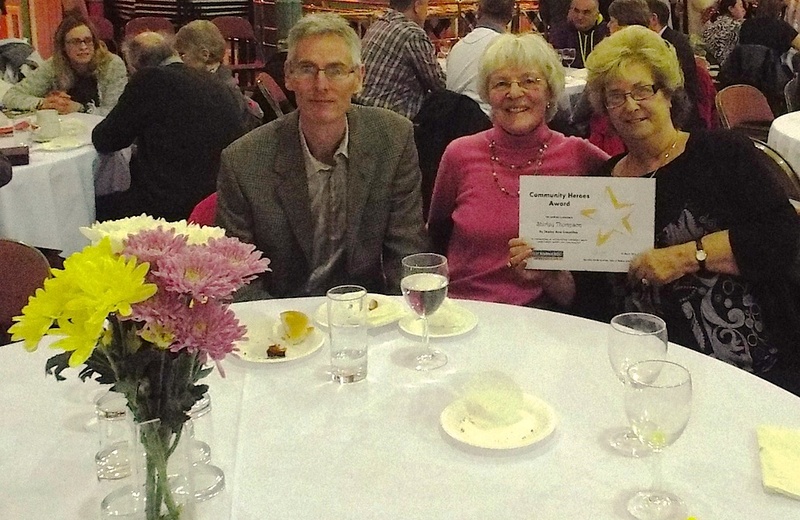 Shirley collected an award as a ‘Community Hero’ at the Saltaire ceremony, being accompanied by colleagues Jane Pratt and James Brown. Local businesses are to hold an exploratory meeting to look at ways of encouraging local people to use their local businesses, a vital segment of the local community. 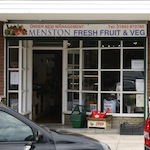 It is often said “Use it or lose it” and the consequences of not using local businesses have been only too clear recently when Menston lost its independent greengrocer, despite the fact that the produce there was fresher and no more costly, often even cheaper, than alternative sources. Perhaps part of the problem is that local businesses do not communicate with the local community enough, or not well enough. Part of the proposed MCA village notice board project is intended to help, but by itself it will not be enough. A meeting of local business people on Friday 4 April is intended to explore ways of doing a better job of communicating what local businesses have to offer and what the advantages of using them are. The meeting will take place at The Studio, 9a Cleasby Road, at 6.30pm on Friday. Any representative of a local businesses will be welcome to attend but it would be a good idea to contact Christine on 01943 879816 or email christine@pfetraining.co.uk, if only because some light snacks will be provided so it will be good to know how many people are coming. 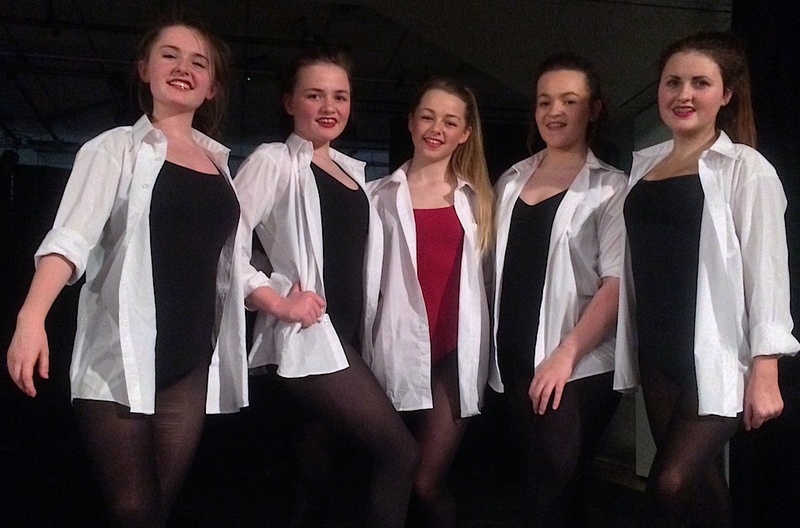 Winning dance team: Alicia Wilson (Choreographer), Chloe Williams, Devon Mitchell-McCann, Freya-Poppy Bowden and Gabriella Vento. the competition. One of the school’s 11-14 year old teams came third in the competition. Diana Awards for Menston pupils and their South African partners. Fourteen students from St. Mary’s Menston and twenty seven students from Mnyakanya High School in rural Kwa Zulu Natal, South Africa have received the prestigious Diana Award for their collaboration through the Bambisanani Partnership (click here for more information on the Bambisanani project). 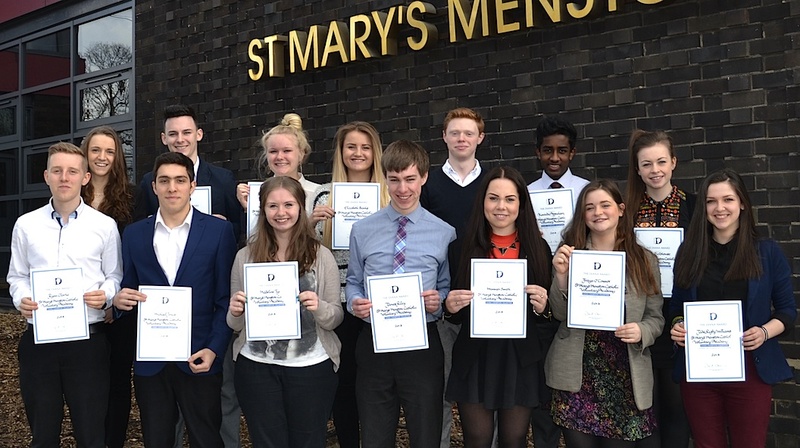 St Mary’s students with their Diana Award Certificates. L-R, back row, Chloe Tindale, Patrick Connolly, Elizabeth Garnett, Elizabeth Banks, Charlie Walker, Kavindu Appuhamy, Emily Fieldhouse; front row, Ryan Clarke, Michael Jones, Madeline Tysoe, James Riley, Hannah Smith, Freya O’Connor, Jade Rigby-Williams. 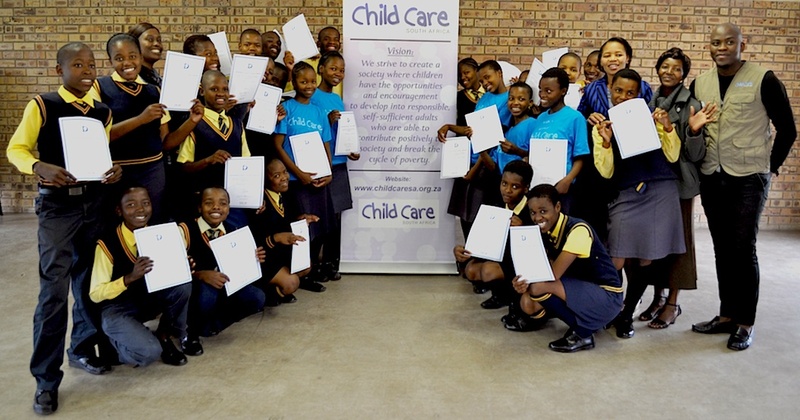 Over the past year, the Young Leaders from Mnyakanya School have volunteered to work in their community with the ‘Child Care’ organisation caring and supporting victims of abuse or those with HIV infection. The students have developed peer mentoring and community programmes as well as liaising with other agencies that can support the victims. For the past seven years the two schools have worked together as the Bambisanani Partnership, using sport as a catalyst to promote education, health, leadership and global citizenship. selected due to their sporting talent, and more importantly, due to their exceptional commitment and ability as young leaders or volunteers. 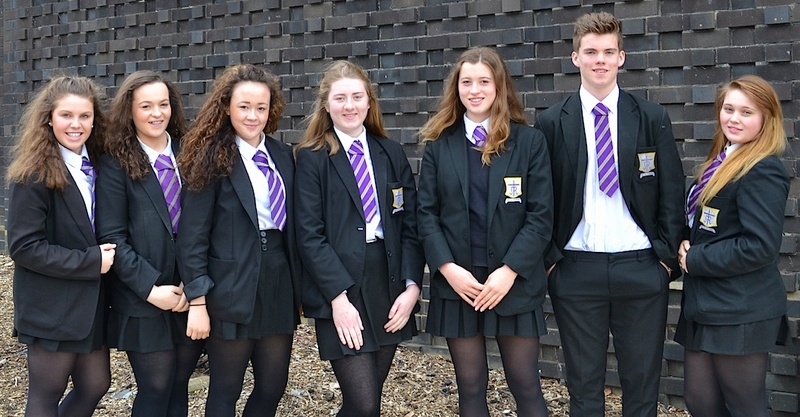 Becoming a Young Ambassador will enable the students to develop their leadership skills further. Enduring Lake District weather. A group of year eight students from St. Mary’s recently endured adverse weather during their stay in the Lake District, including wind, rain and even snow, but took part in a full programme of activities designed to provide physical, social and team building experiences such as orienteering, rock climbing, rope challenges and raft building. 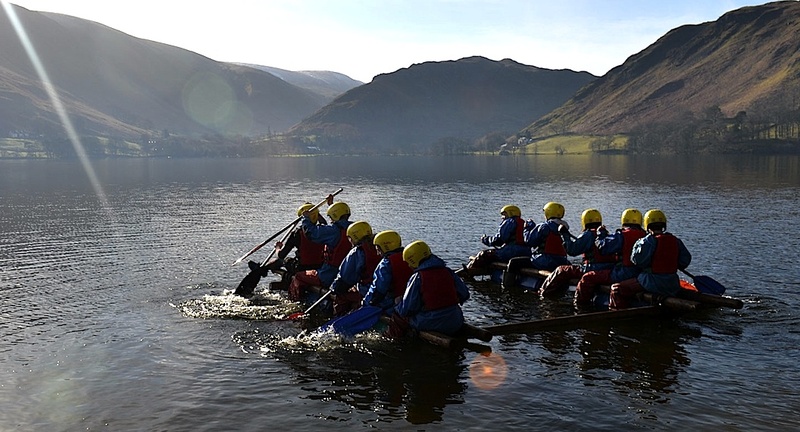 The group enjoyed a week long residential visit to the Outward Bound Centre on the edge of Lake Ullswater. Whilst in the Lake District, the group took part in the John Muir Award scheme, an environmental award scheme focused on wild places. The scheme encourages awareness and responsibility for the natural environment, in a spirit of fun, adventure and exploration.The Award Scheme is now to undertake a study which will look at how the ethos of the award is continued in school once students return from the visit, through such things as tutorials, assemblies and cross curricular learning. Is Menston following the trend and seeing more and more people buying at local independent shops and buying less at the big supermarkets? I know of one or two Menston residents who are. The Ilkley Business Forum is organising a ‘Buy Local’ event in November, recently inviting shops in Ilkley to back it by joining the forum. Chair of the forum, Vera Woodhead, says that the same initiative may be repeated in other areas within the LS29 postal area, including Menston. However, good though this initiative is, going to shop in Ilkley – which has the benefit of a large number of ‘tourist’ visitors – isn’t going to keep the shops in Menston viable. Couldn’t the shops in our village get together and drum up a similar initiative? Maybe the ones which are part of large organisations – the Coop and Londis – could put some money into it. 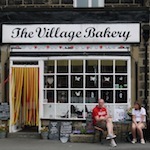 As far as food is concerned, we have an independent bakery, greengrocer and delicatessen, but for how much longer if they are not sufficiently patronised? Wouldn’t it be good to add a butcher? Only a couple of weeks ago I was suggesting to Binns in Bradford market, who have a shop in Saltaire which sells the same excellent quality meat at a much, much higher price, that they open a butcher shop in Menston. If they did it would have to be more expensive than in Bradford city, I was told. Of course! To some extent pricing is a matter of turnover so local independent shops have to charge more. But if they are well patronised then the prices can be pitched a little lower. Having said that, avoiding the inconvenience of going into Bradford or Leeds (and the unpleasantness of the former), or even Guiseley, is worth a premium. And don’t forget the three excellent Menston free-range egg producers, whose prices compare very favourably with ‘similar’ (but nowhere near as tasty!) eggs from the supermarkets. While on the subject of ‘shopping local’ I am wondering whether the long-promised new ‘official’ website for the village is being developed by a company in Exeter – just about as ‘unlocal’ as you could get. I could be wrong as the situation seems very confusing. Googling Menston brings up two sites – menston.org and menstonvillage.org. Is the menstonvillage, which looks very similar to the ‘old’ one, the new one? There’s no explanation on either site. However, if the new site is being developed way down south, much as I like Devon I’m not sure they can really cotton on to a Yorkshire culture. I’m not suggesting that the authors of menstonvillagewharfedale.com should have done it – I know they wouldn’t have wanted to – but there are many excellent fairly local web development companies; I’m not aware of any in Menston (send info for this site’s business list if there are!) but there are certainly many within Yorkshire. Although I’m concerned about the truly independent village shops, the Coop and Londis should be patronised too, of course, but it’s the independents who have to rely totally on their own efforts, do not benefit from any bulk buying and couldn’t invest the close on half a million the Coop spent on its recent refit which really need our support. So, let’s patronise our local shop keepers, especially the independent ones, and other local businesses; they are part of what makes Menston, Menston.